Many are declaring 2016 the year of the “Green Rush”. There is no year leading up to this one that has offered as many promises for marijuana legalization. At the moment, 14 states have the potential to legalize MMJ, adult-use cannabis or possibly both. This positive change is due to other pioneering marijuana markets and the growing support for cannabis in general. The legalization of marijuana has become such a recurring topic that it has forced presidential candidates to reveal their position. The fate of marijuana in these 14 states will depend on either the ballot box or state legislatures. The following list details some of the states that have the best chances of legalizing medical or recreational marijuana – or both – later this year. California has been declared the main electoral event for marijuana advocates this year. As the biggest medical marijuana market in the country, advocates are pushing for the legalization of recreational cannabis. If voters approve, the state will quickly generate billions of dollars in recreational sales. Among the groups pushing for this to get on the ballot are billionaire Sean Parker and Lt. Gov. Gavin Newsom. Because the measure to legalize medical cannabis failed by such a slim margin back in 2014, MMJ supporter John Morgan is gearing up for round two. 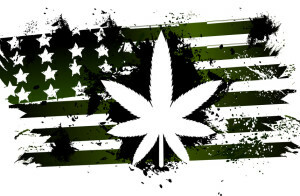 With the turnout in the presidential election predicted to be higher than in 2014, and the currently very strong support for MMJ in the state, many are expecting Florida to legalize medical cannabis easily. If this does come to pass, Florida will become the second-largest MMJ market, just behind California. A poll conducted in 2015 has revealed that Maine is ready for the legalization of recreational marijuana – with support reaching around 65%. Two competing campaigns, the Marijuana Policy Project and a grassroots group, decided to join their efforts last October instead of having two competing campaigns. Their hope is that this collaboration will boost the chances of success. While Maine would not be the biggest cannabis market in the country, it would contribute towards the progress of the industry as a whole. Nevada has been described as an easy target for recreational legalization. In fact, the state is already catering to out-of-state MMJ patients, thanks to a policy allowing medical marijuana cardholders from other states to purchase cannabis while in Nevada. According to Marijuana Business Daily, the campaign for recreational marijuana has already been placed on the 2016 ballot. The decision is now in the hands of voters. Even though Pennsylvania lawmakers failed to reach a consensus bill in 2015, many advocates feel that MMJ in Pennsylvania will succeed in 2016. Many are afraid the state will replicate strict systems like in New York and Minnesota, which prohibit smokable cannabis. Because the state does not have a citizen initiative process, lawmakers will have the ultimate say-so. Fortunately, most officials are eager to legalize – including the governor of Pennsylvania. With so many states predicted to legalize recreational or medical marijuana, there is going to be a growing need for these businesses to secure payment processing solutions. Even with the expected growth, however, the industry is still frowned upon by traditional providers. This leaves many businesses with little to no options. Marijuana payment solutions from a high risk provider – like marijuana-merchant-account.com – provides businesses with the services they need. This entry was posted in Marijuana Industry and tagged Legal Marijuana, Legalize Medical or Recreational Marijuana in 2016, Marijuana Payment Solutions, Medical Marijuana by admin. Bookmark the permalink.